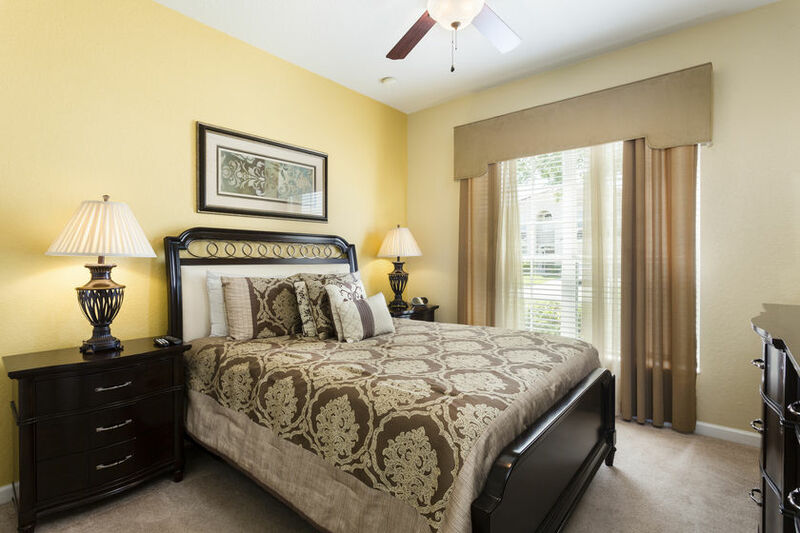 Welcome to the warm Windsor Breeze. 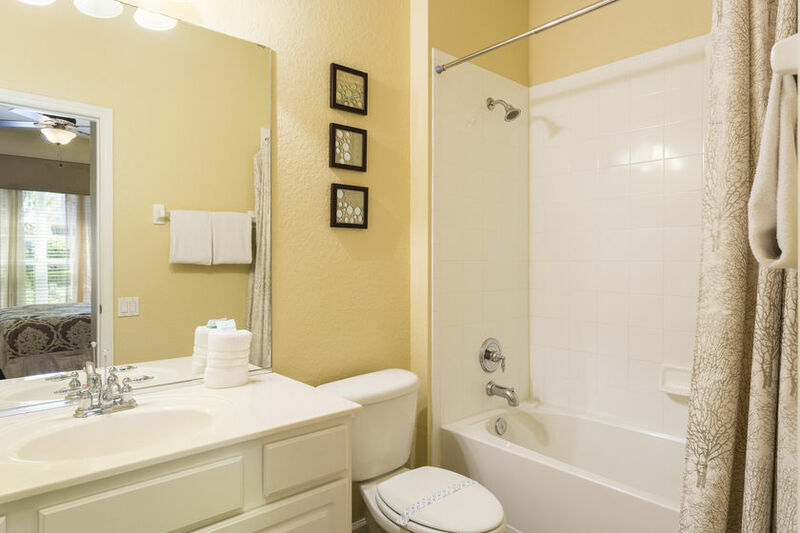 Find your home away from home, and enjoy all the comforts, and luxuries, plus more! 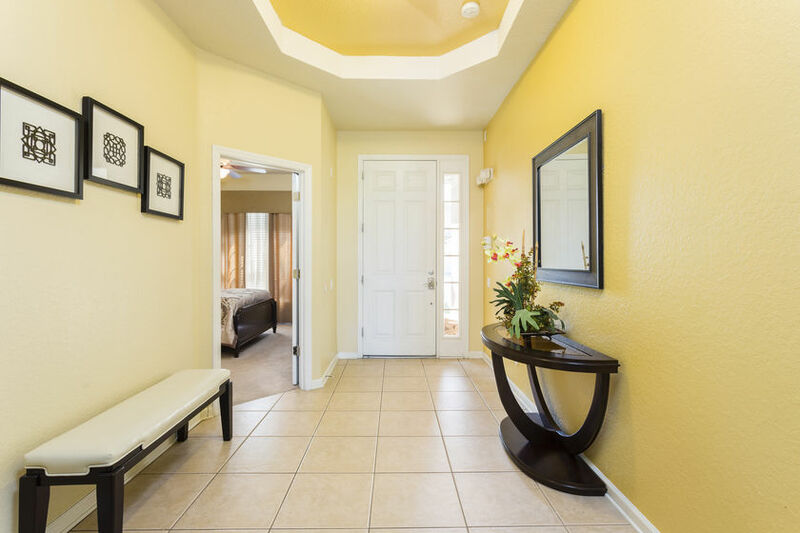 This single story villa is located in the highly sought after Windsor Hills community, only 2 miles to the gates of Disney, and just minutes from all that the area has to offer. 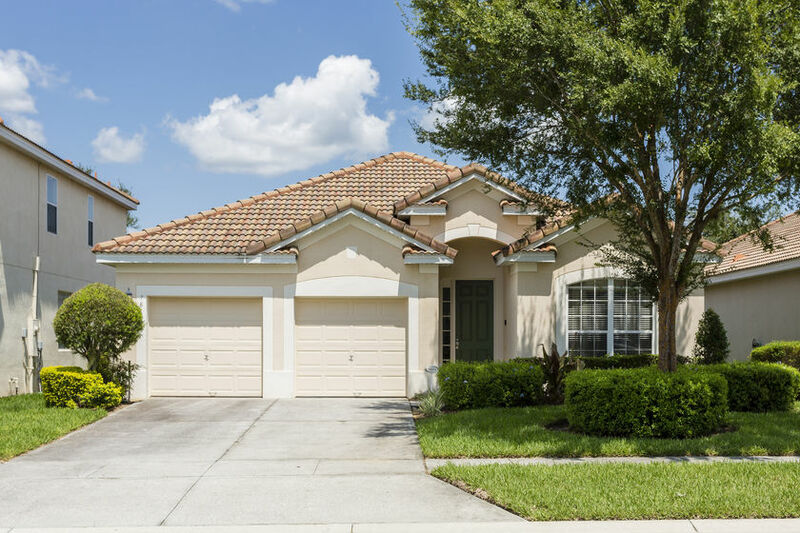 Step into the doors of this beautifully decorated open floor plan 4 bed, 4 bath private screened in pool home. 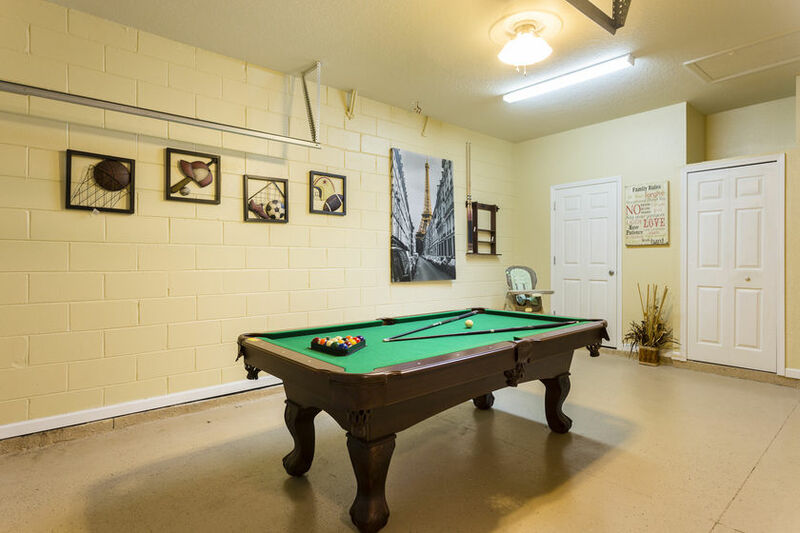 The owner has tastefully decorated this villa with luxurious leather furniture in the living area with large flat screen TV, themed kids bedrooms, and a games room for hours of entertainment. 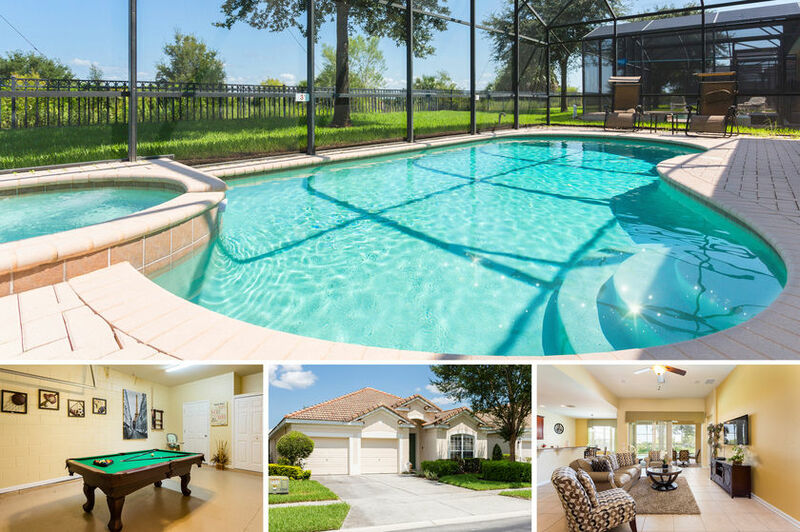 This villa provides it's own private screened pool area, where you can soak up the Florida sunshine, relax and sit poolside whilst the kids play, or melt away the stress in your spill over spa. 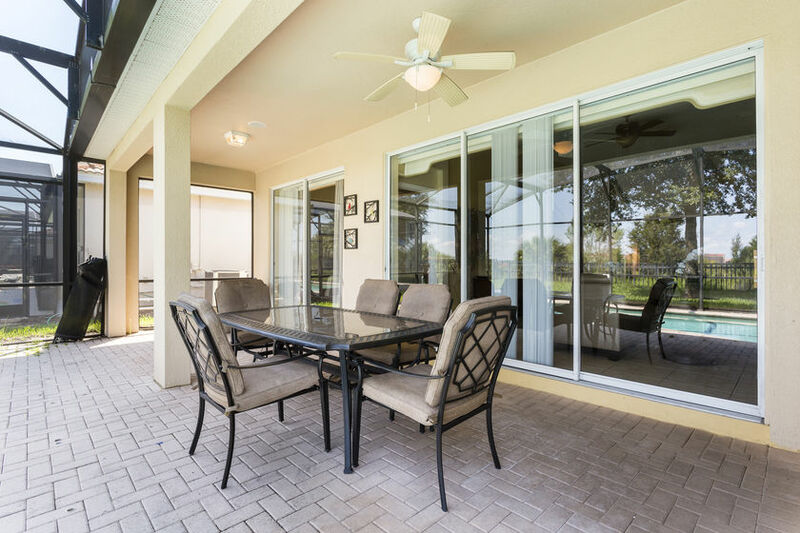 Have the family gather around your outside dinning area, and reminisce about the adventure of the day, or the next one to come. 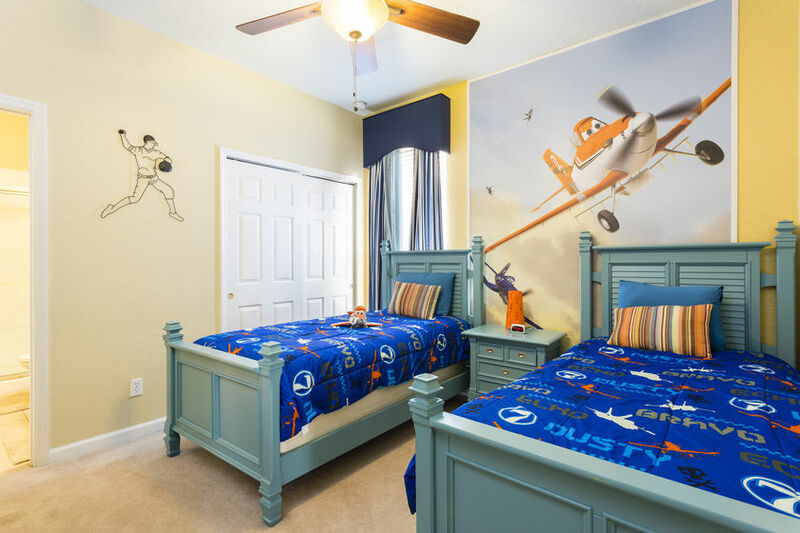 Imaginations run wild as the kids rooms are decorated with colorful themes. 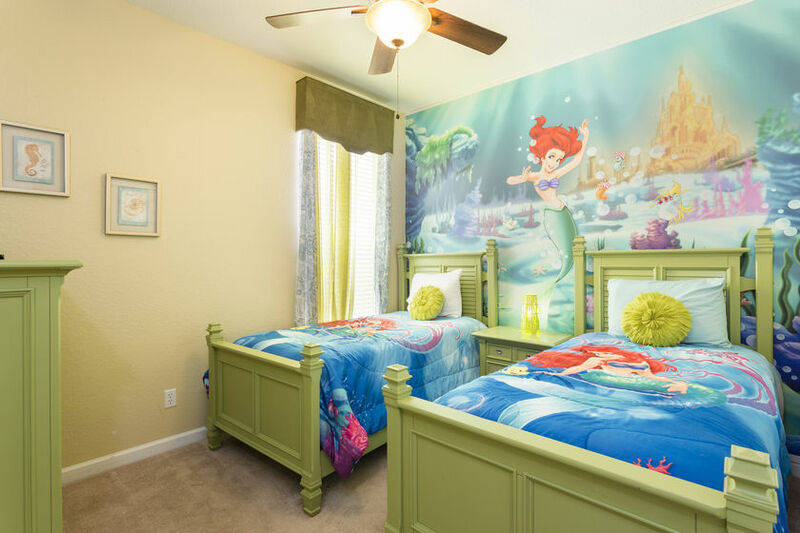 They want to be where the fishies are, the Little Mermaid themed room takes them deep under the sea to Ariel's grotto, whilst the planes room takes them high into the sky with Dusty Crophopper, each with two twin beds. 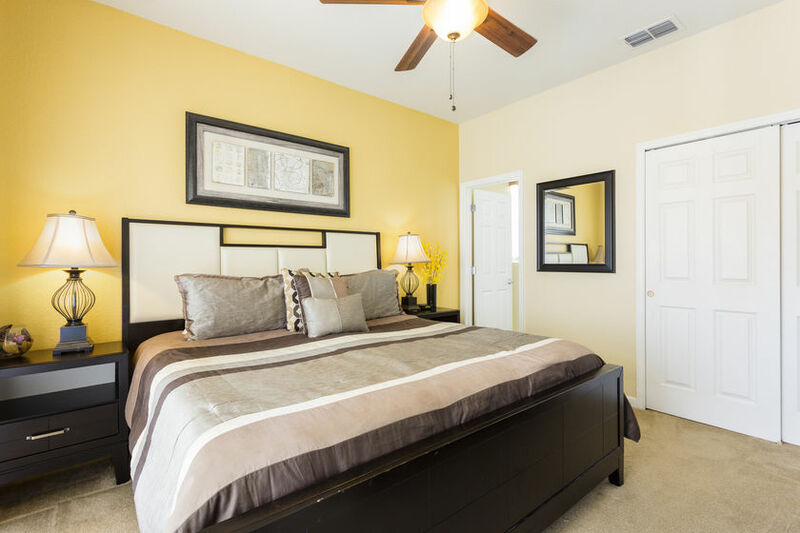 The other two rooms are made up of a king size bed with en-suite, and a queen size room. 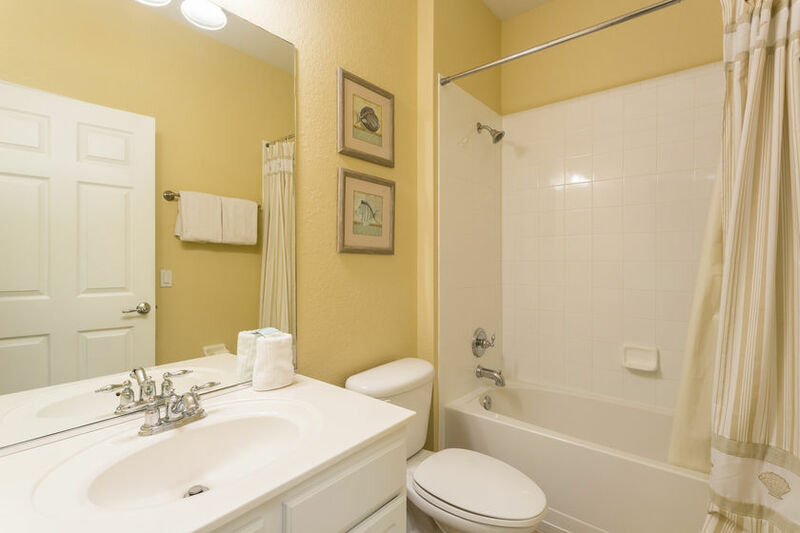 All rooms have flat screen tv's and are cable ready. 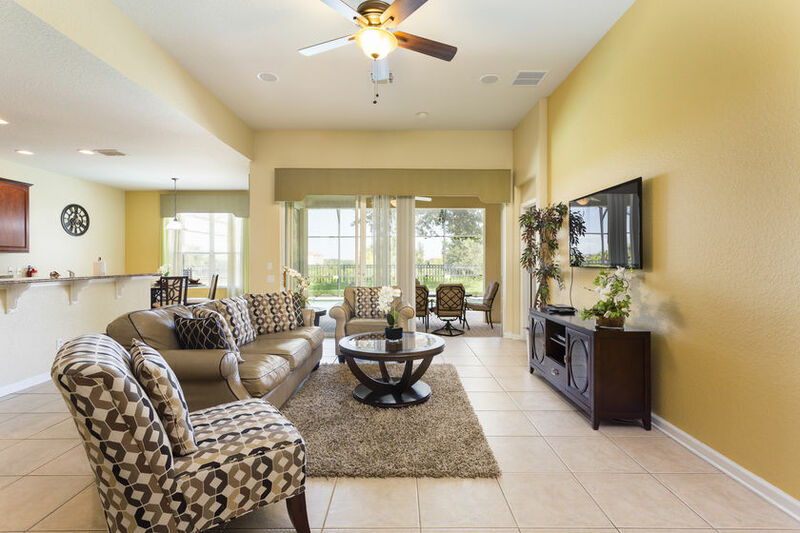 Windsor Hills is a resort style community unparalleled to any other community in the Orlando/Kissimmee area. 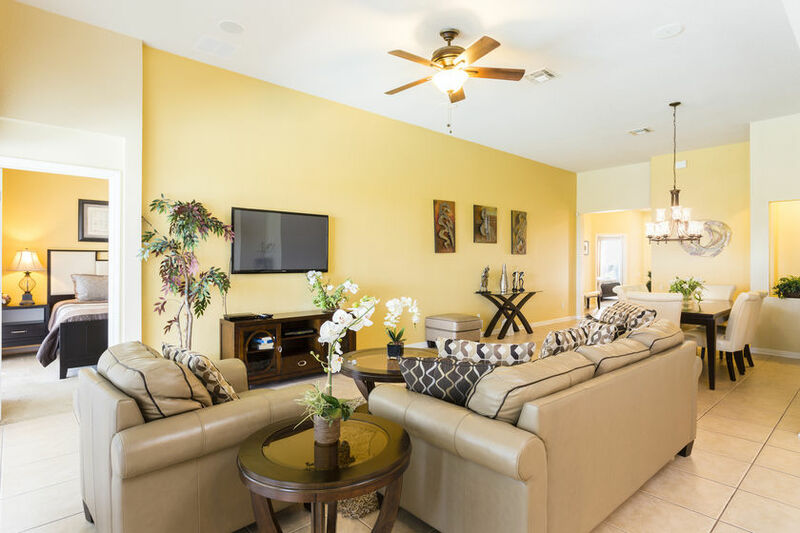 Some of the magnificent features of this guard-gated community include a luxurious water park pool with fountains, waterslide, spa, toddler pool, tennis and basketball courts, putting green, and a children`s playground. 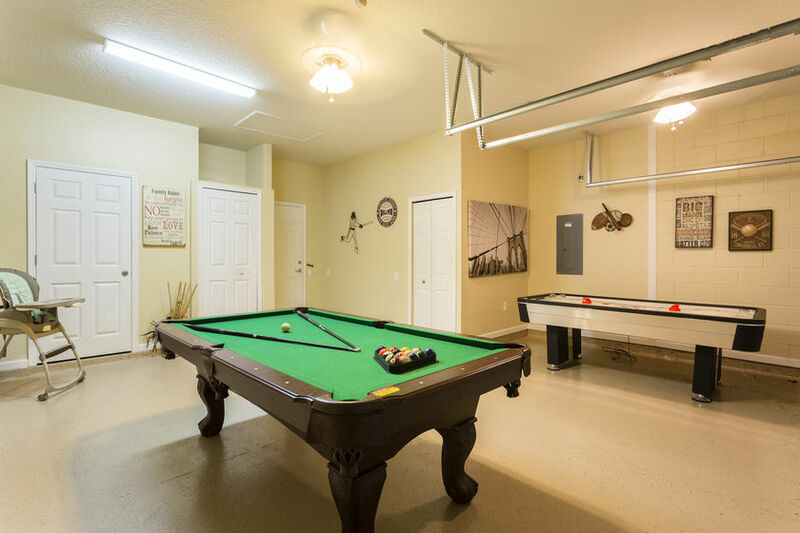 With A 10,000 square foot clubhouse, overlooking the pool, offers billiards, video game areas, a sundry shop, fitness room with state of the art equipment, and a high definition surround sound movie theater.One most impressive features is the extraordinary location. 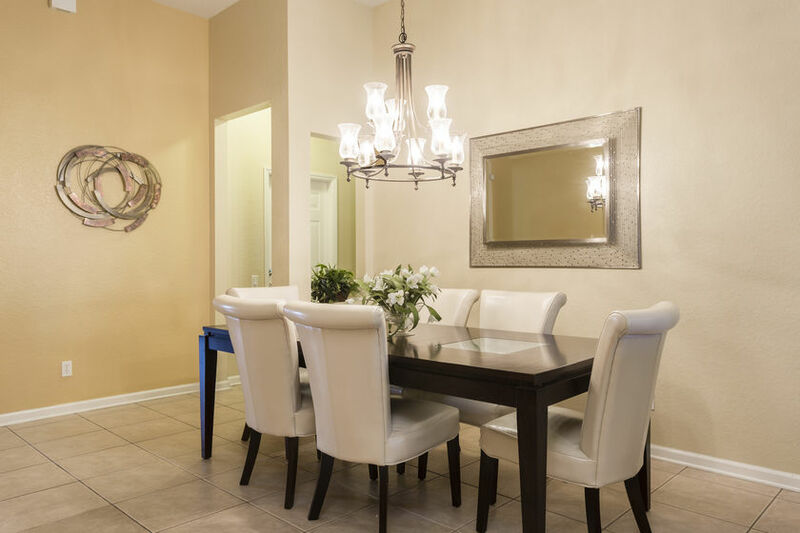 Windsor Hills has all the amenities of a 5 star hotel or resort, but with the comfort, convenience, and privacy of a high end home. 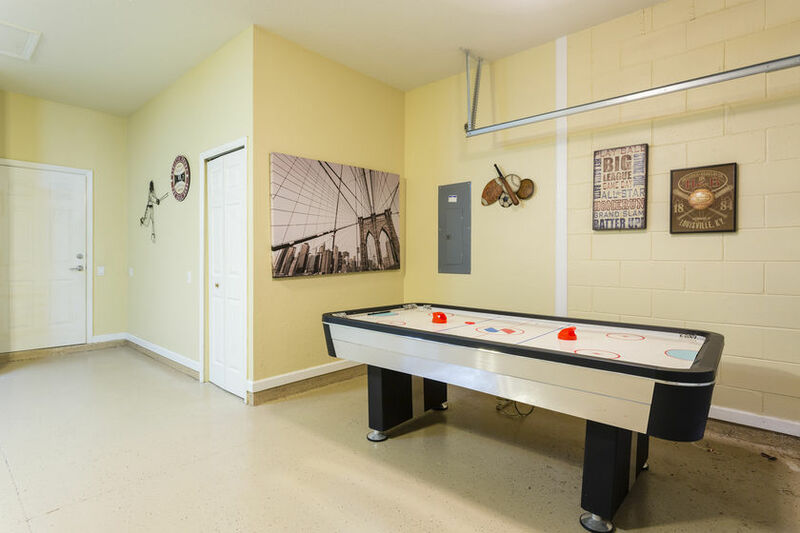 These gorgeous homes offer twice the amenities at a small fraction of the cost of staying in a traditional theme park resort hotel room. 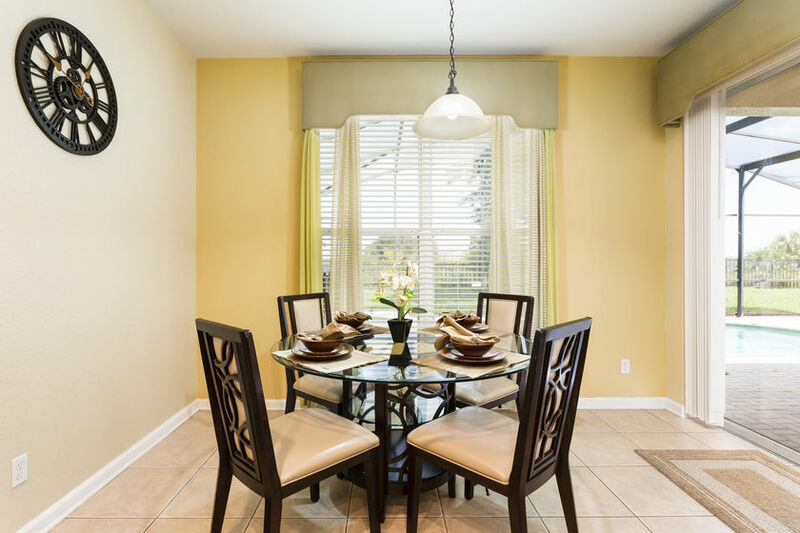 Windsor Hills is the closest vacation home community to Orlando`s world famous attractions and theme parks as well as the many shops, restaurants and family fun local attractions. 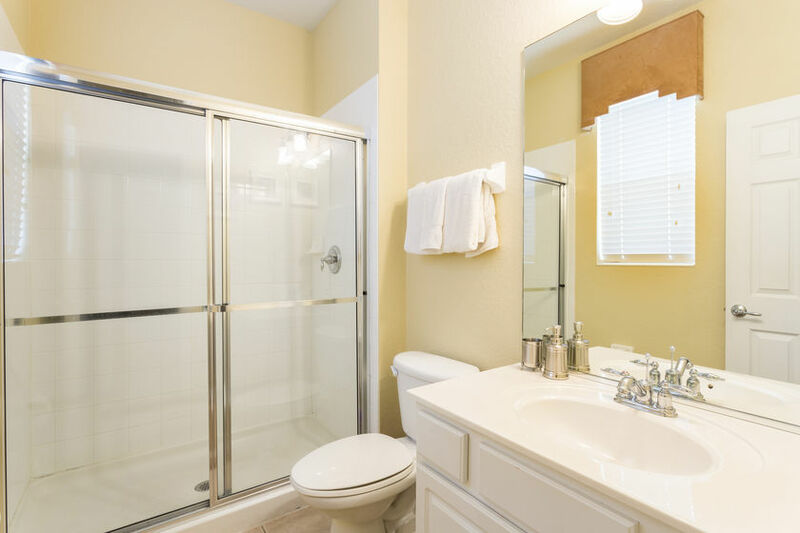 These Orlando/Kissimmee area attractions have consistently been ranked the #1 family vacation destination in the world. 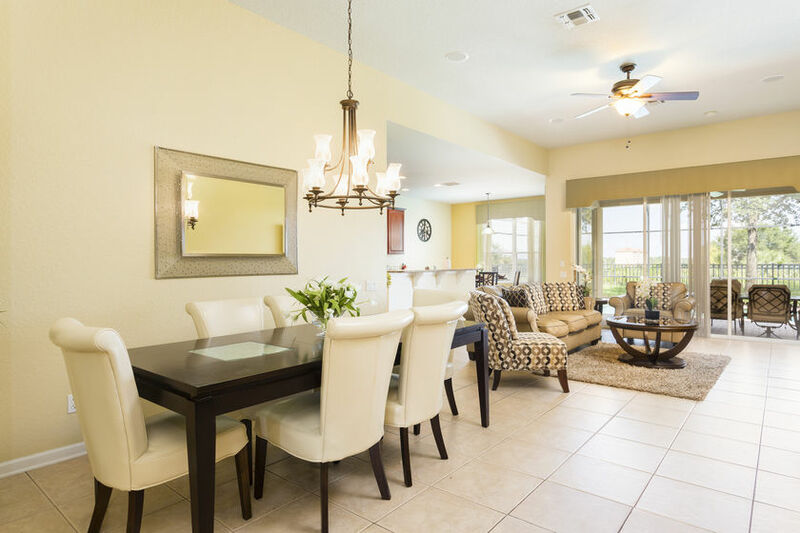 Orlando4Villas opinion, Windsor Hills Resort offers much for the family coming on vacation to the Orlando / Kissimmee area. 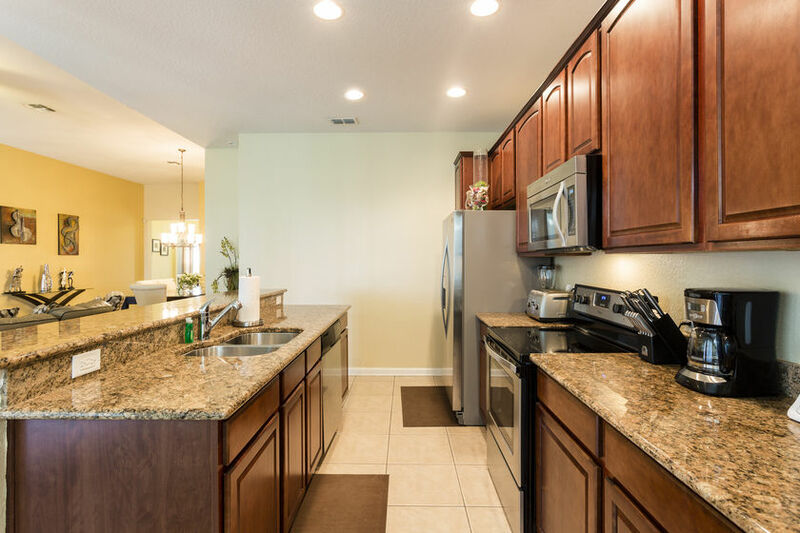 The community is perfect for a great family holiday, there are also aimilar class resorts to Windsor Hillsthat are outstanding in Orlando.